The fourth edition of the LASSnet conference will be hosted by the Centre for the Study of Law and Governance (JNU, Delhi) in collaboration with the National Law University of Delhi (Dwarka), O.P. Jindal Global University (Sonepat) and IIT (Delhi). The indeterminacy in law could be read both as a problem of truth and also as one that plagues disciplines. The question of evidence has been central to the formation ofÂ disciplines and the claims that they make upon knowledge. For initiatives such as LASSnet, the imperative of thinking with evidence â€” in these times of virtual virality, forensic imaginaries and ephemeral archives â€” serves as a fertile ground on which we can stage discussions of the perils, pleasures, meanings and methods of inter-disciplinarity. While disciplines are defined partially by the evidentiary protocols that they follow, the very nature of inter-disciplinary enquiry calls into crisis the idea of a single protocol. The methodological concerns with the seeking and making of certainty and truth implicate a whole range of disciplines: anthropology, art, history, law, religion, philosophy, politics, economics, literature, theatre, and science, to name just a few. The stakes in thinking with evidence are very high since doing so raises the core epistemological claims, regarding not just of what, but also how we know. This is rendered all the more difficult because the very grounds ofÂ evidence are themselves shifting terrain, subject not only to developments in science and technology but also to forms of historical consciousness andÂ social knowledge. Thinking with evidence in engaging the encounters and intimacies between the imaginations of the legal and the social can provoke interdisciplinary conversations, in the affective and corporeal works and worlds of making, seeking and living with truth. Such an engagement offers an invitation to re-invigorate discussions around the dialectic of the abstract and the concrete of jurisdiction, procedure and technÃ©. How does evidence index intelligibility and illegibility simultaneously on bodies and things? How are questions of inheritance and memory mediated through a claim to the evidentiary? How may one think of ways of doingÂ politics and living with law? Or address questions of responsibility and conduct, particularly as these arise in the context of experience, acting as evidence of legitimate speech? The English word â€˜evidenceâ€™ is associated with Latin verb, vidier, to see. The relationship between seeing, believing and knowing, when mediated by visual technologies, transforms ways of seeking certainity and making truth. Along with criminal law, procedural and constitutional law also offer fertile grounds to think of evidence as an object of truth and power. In our technologized regimes that are heavily invested in the forensic fascination with truth detection, how do we think of the constitutional implications of scientific evidence and the truth claims that they make? Moreover, why is the ocular or aural privileged over the haptic or olfactory? How do we furnish evidence of experiences of humiliation when ocular or aural techniques of knowing and telling make suffering illegible in the legal languages of evidence? Moving our gaze to the gamut of categories that populate â€˜evidence lawâ€™ we ask following William Twining: â€œhow to do things with evidence?â€ Is it a legal fiction that there are evidentiary rules that determine probability, presumption, fact, proof and certainty, classifying some artefacts as facts or truths and others as exaggerations, falsehoods or myths? How is the process of making juridical facts, legal certainties and presumptions embedded in continuities and changes in social relations in history, economy, culture and politics? How does the production and circulation of technologies of evidence in popular culture create demands for scientific evidence in actual trials? What kind of commodity is evidence? What kinds of technologies are deployed to evidence the body in law? What kinds of knowledges congeal in the category of expert evidence, from archealogy to forensics, to act upon languages of social suffering? What is the nature of the testimony that underlies expert evidence in law and literature? Do concepts of evidence in visual arts and performing arts speak to juridical notions of evidence, testimony and witnessing? How may we understand what we do with evidence when we turn to religion, or custom; or state and non-state law? Drawing on the vast critical literature on Hindu or Islamic law; or customary and indigenous law in colonial, post-colonial and settler-colonial contexts, how may one think of evidence as it mediates between law and justice in relation to the claims of truth to power? How are notions of evidence in these traditions, or in traditions of aurality/orality, constituted by the theories of codified visuality in common law traditions? Further, what kinds of evidence does the discourse on plurality, secularism and rights rely upon? Why do certain kinds of evidence of suffering falter, while other kinds of evidence succeed in making suffering visible? How do we think of evidence in a broad senseâ€”as not just documents, facts, proof, or expert knowledge but also as Â “aesthetics of protests”, as truths that counter the processes by which evidence is constructed in the context of of displacement, gender violence, caste humiliation, mass violence, disappearances and/or state terror? When certain facts are banished from courts of law, how do the politics and aesthetics of protests furnish evidence of truth to power? How does the regime of evidence produce marginalities and exclusions from collective memory and historical record? What kind of residue resides in the legal archive that allows us to describe how law is haunted by unwritten precedents of injustice? In other words, how does evidence actualise the separation of law from justice? While the Steering Committee will make its selection from as wide a base as possible, we would particularly welcome presentations that engage with the broad questions above that animate the theme of the conference, which we see as especially interesting to consider in the contemporary South Asian context. 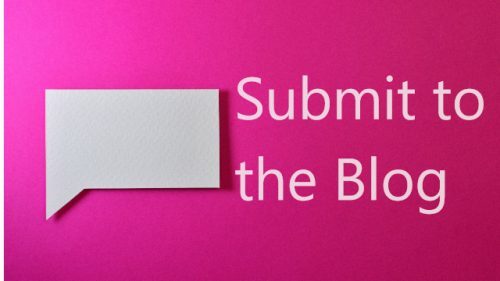 In keeping with the eclectic spirit of LASSnet, we welcome submissions that address concerns of the LASSnet broadly in connection with the theme of the conference, including papers, panels, and presentations on the sub-themes detailed above. To mark the completion of 10 years of LASSnet in 2017, we plan to bring out a series of edited volumes and/or special issues in journals in 2017-2018. Book proposals or journal special-issues plans will be a priority in this edition of LASSnet. We strongly encourage participants to think of panels as potential volumes. The steering committee will actively organise conversations around publication plans and any one willing to organise pre-conference workshops is welcome to get in touch with us. We welcome proposals for panels as well as for individual paper presentations. Panel proposals: Panel coordinators should submit a panel description of 300 words as well as a proposed list of panelists (ideally no more than four speakers per panel, including the chair-discussant). The panel description should be accompanied by individual paper proposals for each panelist, following the instructions below. Coordinators may also choose to propose a chairâ€”discussant for the panel as a whole. Individual papers: Paper abstracts (300 words) should be submitted via online submission link made available at http://www.lassnet.org/. Please note that abstract/papers should not be sent through email. Guidelines for submission of abstracts are available on conference website. We will get back to you within eight weeks of receiving the abstract or paper proposal. If an abstract is accepted for the conference, a full draft paper should be submitted to the conference secretariat by 30 October 2016 and distributed to the discussant and fellow panel members no later than 15 November 2016. In the case of preâ€“formed panels, this will be the responsibility of the Panel Coordinator. The maximum duration of individual presentations within each panel will be 20 minutes.